I'm constantly traveling and recently I decided to hunt for a new travel bag. I wanted something reasonably small but functional and practical, something with a bit of style but not too expensive. 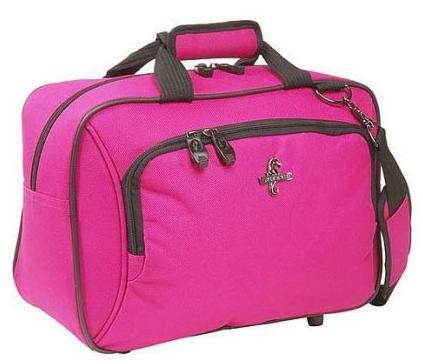 I let the fingers do the walking and came across this cute looking Atlantic Altitude Shoulder Tote on special, reduced by 35% down to $15.98 at SmartBargains.com. "How good is that?" I thought. The tote is described as being "ideal for carry-on essentials and personal items with a handy front accessory pocket." I love the color and chic look. I kept browsing their specials and then found this Ciao Travelpack Weekend Organizer also priced at $15.98 but this bag had been discounted by 73%!!! While personally I don't think that this looks as cute as the Atlantic Altitude tote, the Ciao bag has amazing flexibility with its zip off cosmetic and toiletries caddy, removable pockets, storage for jewelry and valuables, even a moisture-protected pocket! It even has a handy, removable tri-fold travel wallet, an exterior rear zippered shoe pocket. 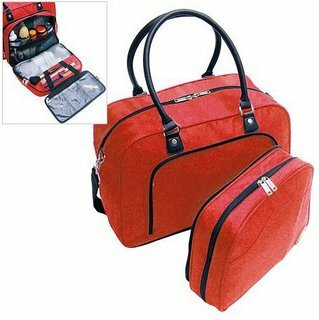 If you're on the hunt for a good travel bag then check out the current range of heavily discounted bags at SmartBargains.com. But as I found out, you've gotta be quick as bargains like these don't stick around for too long! This blog is great and attractive, easy to navigate and cool to look at. The postings are nice and very interesting I am amazed upon looking at every picture it's cool. I am searching for a blog post which my Closeouts And Liquidations site can be related , and this one is good. It is well and good that we can share our simple thoughts and services to improve our markets... To the owner of this blog keep it up its a great blog i really appreciate it a lot. I ordered 2 but its cute chic. got one for myself & another for a gift!!! Yes I think a great buy and will make a great gift.